If you love outdoors and would want to bring that love for nature into your party then you’ll find yourself head over heels to the good ‘ol charm of a woodland forest themed party. For me, there’s something about this magical theme that instantly creates a warm and toasty feel into every party. If you think that rustic and children’s event doesn’t blend too well, then you really ought to see Nathan’s birthday bash. Kris of Design Avenue’s attention to details in this one is a must-see! Nathan’s party was held in a garden which provided the perfect canvass for this whimsical woodland soiree. With the help of Mother Nature herself, lots of brown and green elements made it easier for Design Avenue to execute this wonderful theme. Using personalized notepads, guests were asked to place their thumb marks and well wishes for Nathan. These succulents and twigs used as part of the centerpiece made it possible to make the perfect forest-y feel. The real wood stumps and logs seen through-out the venue were of course the foolproof elements to any woodland themed event. These adorable little forest friends plush toys were the cherry on top! All Nathan’s firsts were nestled in this wonderfully styled memorabilia area. One of the highlights of this festivity is Nathan’s hugely lighted cake. Meticulously created by Tazzy Cakes, this gorgeous 4 feet beauty comes with five more satellite cakes that were all adorably decorated with Nathan’s favorite forest friends. Coolness! What about their dessert tablescape? Guests were in for a sugar high. Nathan’s party was jam-packed with lots of different activities and shows for their guests to enjoy. These different game booths brought huge smiles to both the kids and kids at heart. Nathan’s giveaways were totally adorable! This is a very unusual theme but perfect for outdoor lover kids! wow, the woodland theme seems to be a friendly forest celebration. I like the decorations and of course the giveaway. Nice theme! Makes the kids aware of the beauty of nature. 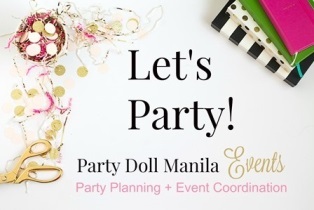 Love your party themes as always! that’s cute! I love the design of the cake…so unique! But I am curious about the lamp. This is one themed party that Ilove my apo to experience. Nice set up.